Ann Anderson is the designer who founded QuiltWoman.com. We sat down with Ann a couple of weeks ago to ask her about forming an online business, her inspiration and her artwork. Here is what she had to say in our interview with Ann Anderson. QW– As the original owner of QuiltWoman.com, what inspired you to create the business? 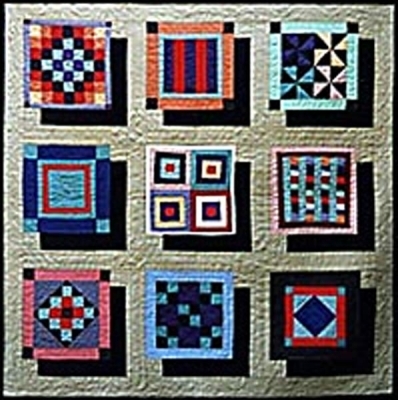 AA– I have been a quilter since 1976 and started writing some patterns in the mid 1990’s. I taught quilting classes and sold the patterns locally. But my main career was selling scientific and graphic computers. I started selling them specifically for internet applications about 1995. When I decided to transition from computer sales to something closer to my heart, I thought that selling patterns on the web would be a good idea. I started Quiltwoman.com in 1998 and owned it until 2008. I wanted to work with something I loved; art, design and quilting, and move away from the demands of selling computers. 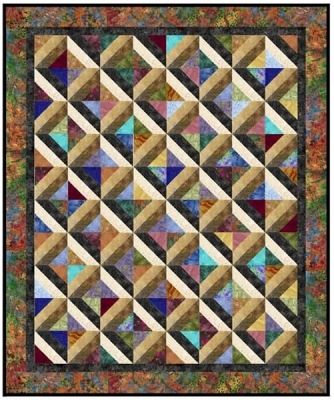 QW– Many of your quilt patterns incorporate the Accuquilt GO! Die cutter and dies. Why is this such as popular choice for you? AA- If a pattern is easier to make, it will be more likely to sell. So it is good for business. QW- Not only are you a talented quilt pattern designer, you also draw and paint and are a talented photographer. Tell us what inspires your art? AA– Nature. I live in the far north coastal area of California and it is “eye candy” everywhere you look. But my passion is working to create a more sustainable local food system and the food and farms are beautiful. QW– What would your perfect day be like? Who would you spend it with? What would you do? Where would you go? AA– A perfect day would be sunny with clear crisp air. A walk with or without my dog in the redwood forest or any of a thousand other beautiful places in the area would be a good start. Visiting a farmers market or working in my food garden would just add to the pleasure. I would spend the day with my partner, Harvey, or my daughter and grandchildren. We might spend some time cooking food we had grown or food from one of the local farmers. 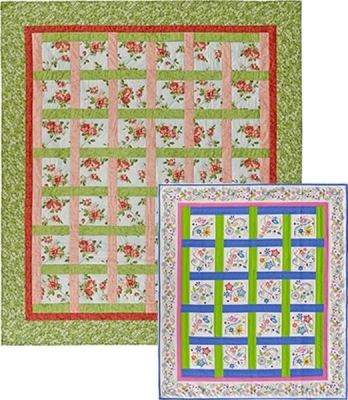 QW– Many beginners are intimidated by the quilting process. What advice would you offer them? AA– Start with a simple pattern. Taking a class is important to learn the basics. Decide what kind of quilter you want to be: ranging from really fussy to relaxed. Some of my patterns even show how to do the fussy and the relaxed versions of a technique. If you want to have your quilts judged in a show you need to be really fussy. If you want to just have fun, don’t get hung up on all the details. 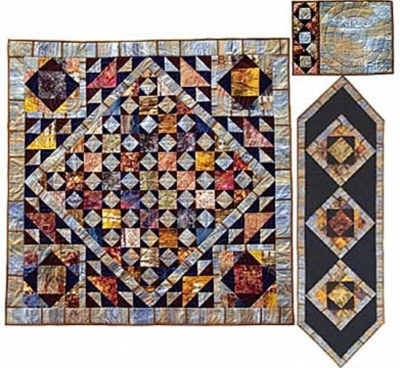 As you make more quilts your skills will improve – the first quilt does not have to be perfect. Just start making them. I have rarely seen a really bad quilt. One thing that I learned about myself when I owned Quiltwoman.com was that I had a strong skill for taking instructions and making them easy to understand. I rewrote a few hundred patterns so that even complicated designs could be done by a newer quilter. It was a fun challenge for me. I take pride in the quality of the patterns I wrote or edited. 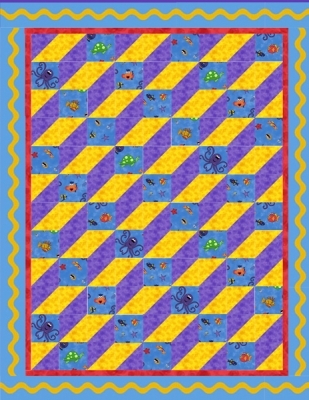 QW– QuiltWoman.com carries many of your quilt patterns. What is your favorite and why? AA– Stoneworks or Italian Tiles are my favorite. They are based on floor tiles from St. Mark’s Church in Venice. They are not the easiest of my patterns but I do like them the best. 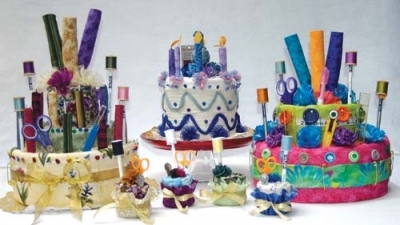 For a non-sewn project, KwiltKakes are tons of fun! For a super simple pattern, I love ShoeBox Treasures because it has a three-dimensional feeling and is about as easy as a quilt can be. I have made this pattern many, many times – usually for a baby or child’s gift. QW– How did your career in the computer industry prepare you to create an online quilt business? AA- It helped by giving me knowledge about the internet just when it was becoming something the general public could use. The internet became accessible when browsers such as Mosaic and then the currently popular ones were created. And then experience with sales and marketing is always helpful in a business venture. QW– How do you find inspiration? AA– By looking around. Floor and wall tiles inspire me. One quilt (Woven Windows) was inspired by the floor tile in the bathroom at the National Cathedral. An interesting border on Dancing Around was inspired by tiles on the wall of a liquor store. I already mentioned the floor tiles from the church in Italy but Marble Pools, Sticks and Stones and the Ring Quilt are also based on tile designs. I have studied African textiles and also Amish quilts and combined some concepts from both into several quilts, one of them is a pattern, Amish Jazz. A series based on these ideas will be in an exhibit in November of this year. I love creating optical illusions and many of my quilts have an illusion of three dimensions. QW– What is your favorite quote and why? AA– It is from Albert Camus “In the depth of winter, I finally learned that within me there lay an invincible summer.” It helps me remember that bad times are not necessarily permanent and that my internal attitudes and beliefs are more important than external events. QW– If your life had a theme song what would it be? AA– That is a hard question, maybe Brahms Second Symphony because it is beautiful and complex. This entry was posted in AccuQuilt GO!, Designers, patterns, QuiltWoman. Bookmark the permalink. Thanks Ann! Glad the GO! is making quilt patterns quick and easy for Quilt Woman!